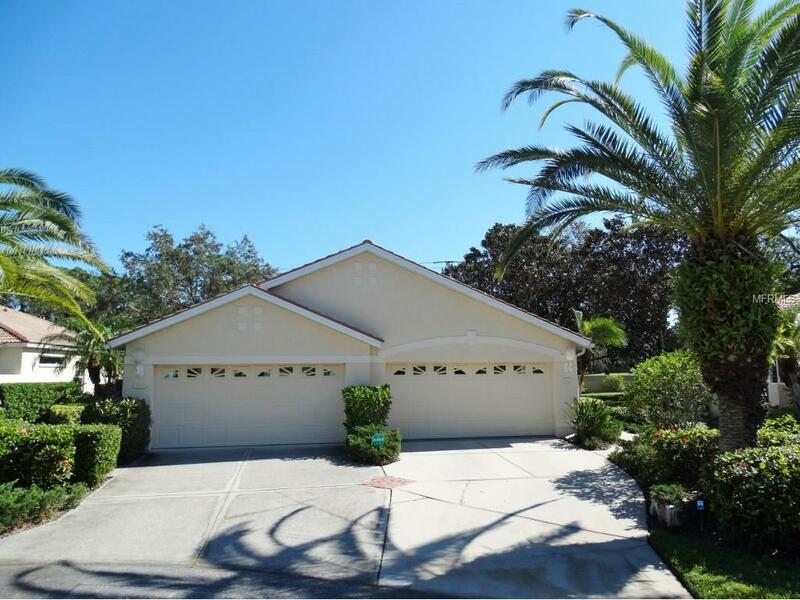 Lowest priced paired Villa with 2 car garage in Palm-Aire! Great for seasonal living or your full-time residence with the convenience of maintenance free lawn care. Fabulous open floor plan with 2 bedrooms, 2 baths plus a Den with pocket doors for privacy. Shows light and bright. Wonderfully sized kitchen with eating space and sliders out to your beautiful front patio area which is perfect for your morning coffee or afternoon cocktail. Spacious living area and dining area blend together well for entertaining family and friends. You will love the volume ceilings throughout the main living space of this home. Your guest area is nicely located in the front of the home and the master bedroom area is located more privately towards the back of the home with 2 walk in closets and bathroom ensuite. Live the Florida lifestyle at the Community Pool located just a short distance from your home. If you're a golfer or play tennis, you're in luck! Palm-Aire Country Club is just down the street but membership is NOT required. If interested, 4 types of Membership are available: Full Equity, Sports Equity, Tennis Equity and Social Equity. Try their Brunch on Sundays! There are two 18 Hole Golf Courses, 10 Tennis Courts, a Fitness Center and Junior Olympic size heated Pool and Clubhouse. Close proximity to UTC Mall for shopping and restaurants, Downtown Sarasota, Sarasota International Airport and our amazing Beaches!